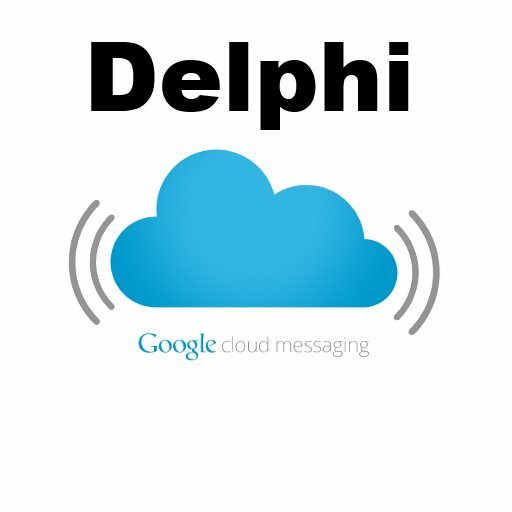 There is an Android Google Cloud Messaging (GCM) component for Delphi XE5 Firemonkey posted as an answer to a question over on StackOverflow. I found the link to the component over on a Korean Delphi blog. You can read up on Google Cloud Messaging for Android over on the Google site for the topic. Basically GCM allows you to send push notifications or messages to users who have your application installed. Even if you app is not running your users will receive the messages. The component does rely on implementing a custom classes.dex file. In order to use GCM you must have a developer ID registered with Google Play and place the developer ID within your application. It is a pretty complex process to set up GCM but it is worth it to be able to keep in contact with your users even when they are not running your app. I have also included a mirror of the component in case the original goes away. Check out the second answer down on the page for how to implement GCM in XE5.